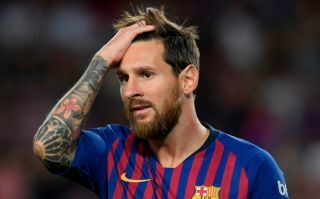 Lionel Messi has sent a warning to Barcelona regarding the future of one of the club’s most important first team players: Jordi Alba. This is according to Don Balon, who state that the club are yet to tie the Spaniard down to a new deal at the Nou Camp, and that Man United are eyeing up a swoop for the former Valencia man to take him to the Premier League. The report also notes that Messi sees Alba as someone who is ‘irreplaceable’ for Barcelona, and that the Argentine is insistent that the club tie to the player down to a new deal in the very near future. It’s easy to see why Messi wants Alba to stay at Barca so much, as the two have a partnership that can only be rivalled by a few in world football. 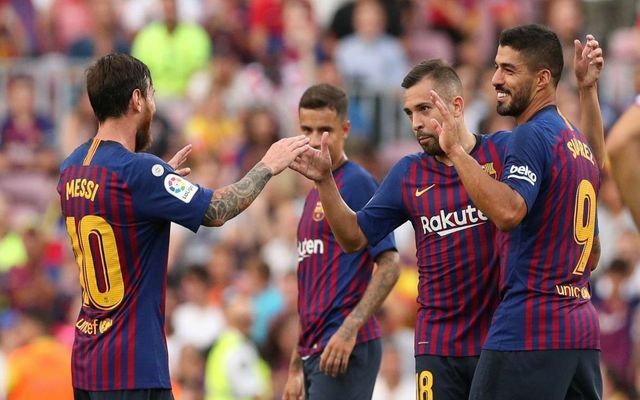 At times, the two seem to have an almost telepathic connection with one another, as last season, Alba turned provider for Messi on a whole host of different occasions. Alba is one of the best left backs in world football, and there aren’t many players out there who would be an upgrade on the 29-year-old should Barca look to replace him. Only time will tell if Barca take note of Messi’s warning and hand Alba a new deal with the club, something they’ll probably end up doing given how good the Spanish international has been these past few years.